As a working photographer and staff member of International Press Association and IMPress Magazine, I was looking forward to this year’s Photokina and a first look at the new Fujifilm GFX 50S. Walking the floor of the show I didn’t see as many new product introductions or announcements as I had expected and that in itself made me even more excited about the new Fujifilm GFX 50S. The two big players in our industry, Canon and Nikon, announced and released their new products earlier in the year, so nothing new to announce at the show. This could be the reason that Fujifilm stole the show. Fuji announced their new mirrorless medium format Fujifilm GFX 50S. Of course shooting medium format as I do, I couldn’t wait to get my hands-on this new and amazing camera. The Fujifilm GFX 50S had been a rumour for quite some time. The excitement and buzz at the show and my own impressions were in fact better then we had expected. Fujifilm announced a mirrorless medium format camera based on a custom designed 44 x 33mm CMOS sensor. This is a 1.7 times larger sensor than the usual 35mm setup as found in high-end DSLRs and mirrorless cameras. The sensor features an amazing resolution of 51.4 MP. Despite the size of the sensor, the lack of mirror allows a rather small design camera body in comparison of the usual medium format cameras of the competition. According to the executives, leaving out the mirror also removes the measurable negative impact of the “mirror slap” on image sharpness. 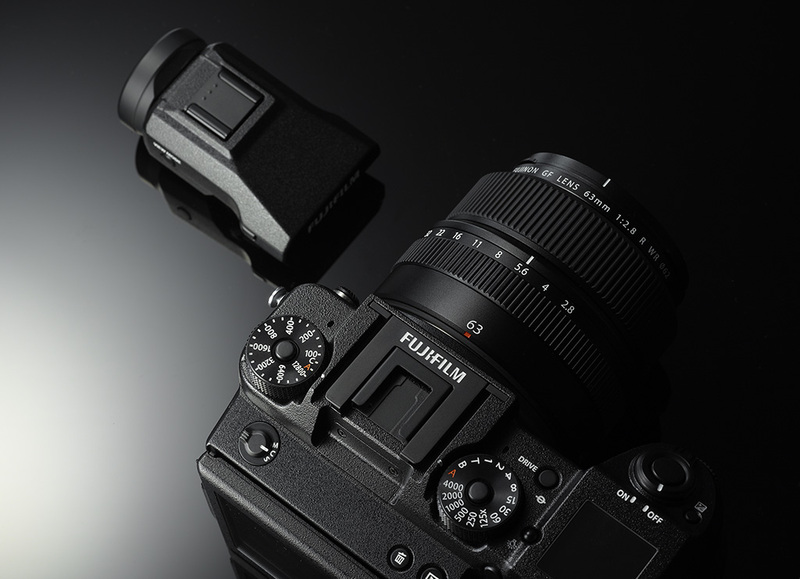 Unlike the other X cameras of the company, the Fuji GFX 50S does not feature an X-Trans sensor. An X-Trans sensor uses a randomized pattern for the colour pixels rather than the standard RGB order names as Bayer array. While such sensors give the Fuji APS-C cameras their distinct look, it causes many issues with RAW converters like Adobe Lightroom. Resulting images require different algorithms to extract the information correctly. The support of the camera within the usual range of RAW converters should be given. All the lenses feature dust and weather resistant construction to withstands operation at temperatures as low as minus 10°C (14F), allowing taking them outdoors with peace of mind. This gives these lenses a strong potential, suitable for professional use in tough conditions. While most of the medium format competitors uses leaf shutter, the GFX series does not. Fujfilm says this allows them to get to a maximum shutter speed of 1/4000th of a second and also leaves open the camera’s option in terms of lens compatibility. I was lucky to have the opportunity for a hands-on session with the GFX and the six amazing lenses. The camera has a similar feel to an enlarged Fuji X-T2. Despite the huge sensor, the camera is somewhat smaller than a Nikon D810. 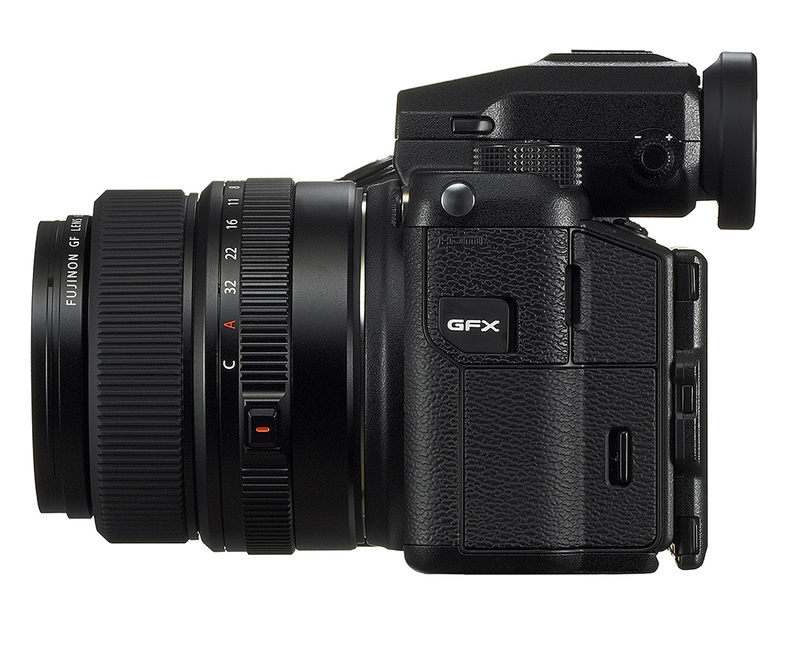 Unlike many mirrorless cameras, and many current medium format cameras that tend to be excessively menu-driven, the GFX seems to be aimed at DSLR users. It has a nice range of physical controls on the exterior and most of the important settings are all within easy. For those used to traditional medium format cameras, the most surprising thing about the Fujifilm GFX is just how small and light the camera is. The light weight translates to the lenses as well, especially the wider angle lenses. This camera feels like a sturdy professional camera and I was impressed as I am sure you will be too. The Fuji GFX 50S camera is scheduled to be released in early 2017. A special thank to Fujifilm Switzerland to have made this hands-on session possible.